This list is arrived at by the Editorial Team to put a spotlight on Indian PR firms that are mostly young and have been created in the last few years. The names are presented in an alphabetical order. Similar lists will appear on this portal from time to time. Planning path-breaking communications and outreach strategies specifically for regional parts of India, bridging the gap between metros, mini metros and smaller regions of the country, Fuzion PR brings even the farthest regions of India within its client’s reach. Mentoring right talent for the industry in Regional India is their current focus, as they feel that “with the ever-evolving non-metro regions in India, the communications space will grow manifold in the next decade”. Their differentiator is a team of professionals well-connected with ground realities and their ability to draft desired strategies with Fuzion’s Regional India Edge. Originally formulated as a market research and analysis firm, specialising in Tier 2 and 3 cities, Fuzion PR Pvt Ltd transformed into a PR firm in 2010 out of Punjab and soon expanded to cover the entire country, by end 2011.Serving as a one-stop solution for all Communication and PR needs for corporate brands, renowned personalities and Government organisations, Fuzion PR specialises in counselling clients to devise their communication strategy in Tier 2 and 3 regions. 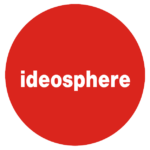 Ideosphere started with an ambition to change the way the communications business functioned, focussing on insights-led strategy and creating innovative, engaging content to gain brand visibility for clients. Their biggest strengths are their ability to understand how the communication strategy will play a role in the business vision of the organisation, to use insights to build content, and to push the envelope in developing ideas to enhance a brand’s impact. Ideosphere has independent set-ups for Communications (Ideosphere Consulting), Consumer Insights (IdeoInsights), Social Media & Digital (Ourbit), Business Consulting (NDRConsult), and Technology-led Product Development (Ideo-Josh Technologies- JustAsk). Within five years of its establishment, the Ideosphere group has revenue close to Rs. 4.5Cr. Kommune started with a team of work-from-home mothers with latent talent lying under-utilised. Ruby Sinha, who was taking a maternity break, was motivated by a former client Prashant Solomon, to set up the company. Incidentally, with a unique focus on women, especially mothers working from home they also have a crèche in their Noida office to encourage more women to come out and work. This group considers their collective experience across key verticals as their key strength. Providing a combined 70 years+ of PR expertise, along with strategic thinking,quality research and creative solutions via advocacy, education, media relations and CSR programs, they have close partnerships with national and international affiliates in key geographies, offering 360-degree brand communications services. Kommune is known for the personal involvement of its senior PR team, integrating traditional PR tools with new age technologies to offer a holistic brand building approach to clients. Celebrating their tenth anniversary, Mavcomm Consulting founders look back on the decade gone by. Their core strengths include taking solution-centric approaches, understanding that clients needed strong customer-insight based strategies and keeping optimum outcome in focus. “To redefine the industry” reads their Vision statement; and they have interpreted this to bring a great degree of predictability in an industry that grapples majorly with unpredictability. They believe that ‘agency’ is the wrong word to use for PR firms, and have hence consciously named themselves as a ‘Consulting’ firm. The differentiation factors include a specialised content and strategy team, continuous involvement of senior team members, emphasis on research-driven inputs creating a ‘pull’ factor rather than a ‘push’ philosophy and utmost focus on planned communications and proactive efforts rather than being reactive. Their strength over the years has become Corporate and Brand PR. They also focus on helping companies plan and implement CSR projects and this they do as their own social responsibility. Insisting that “Public Relations is no longer only about media relations”, Udit says Media Mantra specialises in offering a comprehensive and affordable gamut of services, including Reputation Management, Risk Assessment, Event Coordination, Crisis Preparedness Audits, Event Management, Content Building and more.Media Mantra assists clients in identifying and harnessing a sustainable PR plan to support the business model and to elevate organisational growth. With this unconventional approach, the organisation has immensely empowered companies to spur speedy growth. Presently, their focus sectors are Retail, Education, Hospitality, E-Commerce, IT, Executive Search Industry and Fashion &Lifestyle. Their expertise in building a brand from the start in a highly competitive market, indicates their specialisation in the start-up sector. Udit Pathak’s entrepreneurial bent of mind, had envisioned this ambitious journey and together along with Pooja, he started their PR firm Media Mantra. Continuously nurturing it, they have succeeded in making it one of the fastest growing young PR consultancies in India.Their strengths lie in their revolutionary approach to PR, which is management involvement in all strategies – ensuring a 360-degree view on every aspect of business. Another big strength that Media Mantra outlines is their flexibility while providing customised PR solutions. Tarunjeet and Amrish started the firm with the intention of bringing about a shift in the way PR is perceived by clients, and to focus on building brands with the power of PR in a more holistic sense.They work with clients as their PR brand custodians, consulting them on the entire gamut of communications and advising them on streamlining it to meet the overall communication objective. This is something they see as their strength. In-depth understanding of the media world coupled with understanding stakeholder concerns is what they consider their other strength. They invest a lot of their time, energy and effort in training their team via in-house sessions, involving speakers from various sectors who offer specific programmes that are tailor-made for each team member. Nucleus PR has three verticals – MNC, SME and StartUps. Each team handles a mixed bag with one client from each vertical, which they believe, keeps the excitement alive, encouraging innovation, ideas and cross promotion. For Xavier Prabhu, the starting point was in late 1993, when he took up a mere Rs 1,000 copy writer job at a boutique advertising firm in Chennai. In 2000 he began his passionate tryst with PR. Inspired by the dotcom boom sweeping India, Xavier set up an online PR portal. Soon an old client pursued Xavier to handle his firm’s PR, which was followed by an assignment from Singapore to handle a roadshow, backed by Microsoft and Compaq (now HP). Post that,offers just followed. From 2005, PRHUB has seen constant growth. “97% of our clients are retainers and we pride ourselves on partnerships as long as 5-10 years in the 15 years of our existence,” says Prabhu. Their approach is building long-term sustainable brands by aligning the PR and brand building efforts to business needs and objectives of each client.Being mid-size, they continue to bring senior level strategic thinking, planning and bandwidth to clients. Niche MNCs looking to grow their brands in the India market and Indian growth firms are PRHUB’s key focus. They also leverage their experience in domains such as edu-tech, education, A&D, engineering and manufacturing, online, healthcare, wellness, professional services, technology solutions and services besides internet-based ventures. Infact, they are among the most active players in the start-up space, albeit limited to funded or profitable ones. At S.P.A.G., it is a fact that they capitalise knowledge and experience to tap the market pulse, connecting the brand to consumers.S.P.A.G. is a specialised Public Relations, Public Affairs and Digital Marketing consultancy with expertise in a wide range of domains and industries, with a presence in India, Singapore, and UAE. Their skilled team of professionals helps clients build reputation, expand their foothold in the market and connect with the target audience.Their major strength is their focus on research, creativity, impact and building sustainable and scalable campaigns that are aligned with business goals of the clients. S.P.A.G. invests time and resources in understanding the clients’ business goals and translating the same into communication metrics. Their main focus areas include Government Affairs and Advocacy, Digital Marketing and Social Media campaigns, Pharmaceuticals, Medical Devices, Healthcare, Start up ecosystem,Sports and Entertainment. Clients: Gionee Smartphones, Doctor Insta, MilagrowHumanTech, LivPure,mCarbon Tech Invocations, Hang Out Family Entertainment Centre, Allthingsorganic.com, Revlon Professional, Shopclues.com, Fever104 & India.com, Ingram Micro for iPhone 5 India launch, Mashable launch in India, Former Apple CEO John Schully’s India visit for Changemytyre.com. Skateboard Media was curated with the idea of bringing in “youthfulness and creativity to the business of communication”. The inventive name of the organisation reflects a desire to innovate, adapt and create momentum, a belief that was shared by the Co-Founders Shailaja and Manas. Their biggest strengths lie in the relationships built, nurtured and elevated through the journey. “We believe this has been made possible due the passion, integrity and knowledge propelled by the zeal to create something new everytime,” says Shailaja Rao. Their DNA is not that of an agency but a consultancy. Since inception, they have focused on providing a holistic business communication consultancy to clients, by combining both, traditional and the new age media to collaborate and co-create customised solutions. They offer solutions across Public Relations, Marketing Insights and, Crisis Management. Their key focus and expertise lies in consumer technology, auto, lifestyle and e-commerce. “I started WordsWork with a dear friend from the industry – Sreya Rakshit, who really helped me shape up the brand and its ideology in the initial phase that we were together”, says Neha. Till date that same brand vision, look and ideology hold true. WordsWork took off from the idea that in PR, if you have the right message – it can work for you! The core strength of WordsWork lies in their choice of being specialised. They are specialists with indepth knowledge in the chosen domain areas of sports and luxury/lifestyle. Within this space, big brands feel at ease when they work with someone who knows the industry and media. They keep their approach very simple and clear of jargon. They have and will remain focused on lifestyle and sports. Having said that, “we began WordsWork with some incredible experience in Public Diplomacy campaigns for certain embassies. Managing PR for a country is an incredible experience and we would love more opportunities in these avenues,” Neha discloses. 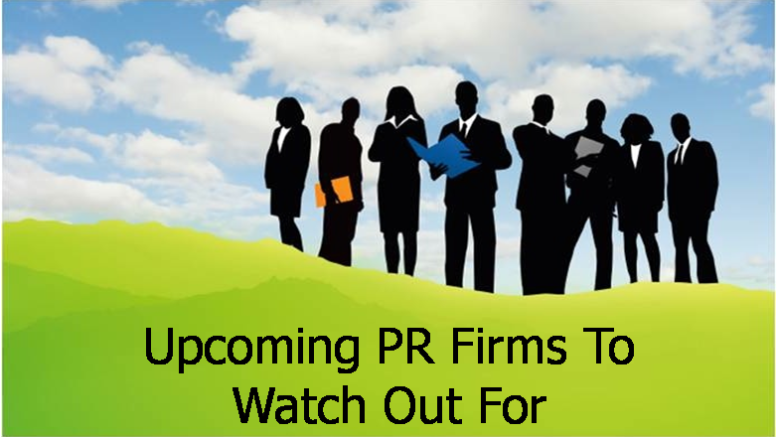 Be the first to comment on "Ten Upcoming Indian PR Firms to watch out for"
Will niche PR firms drive the next phase of M&As?